I always appreciate a restaurant that has a sense of place. There are many restaurants that have a concept first, then force fit that concept into a location. But there are others that naturally flow with their environment and their location. 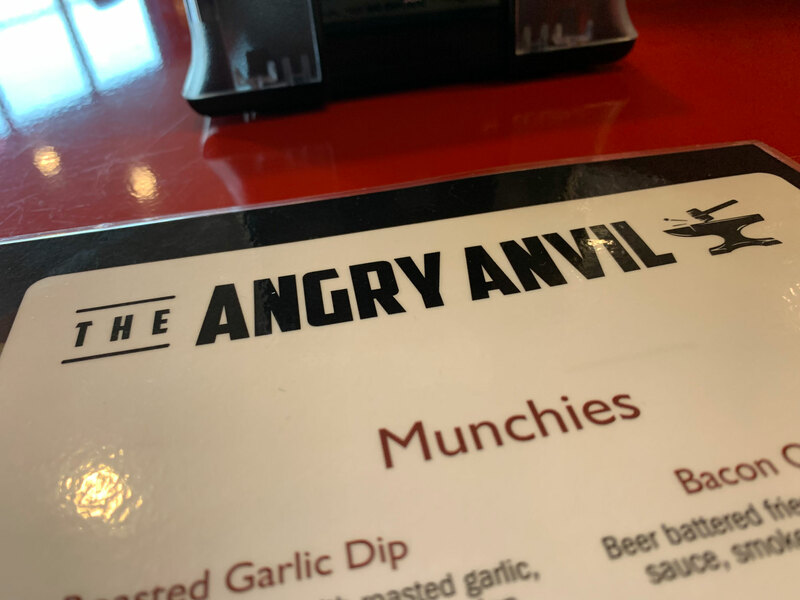 The Angry Anvil, which opened in Birdsboro at the end of 2018, certainly fits the town. It’s not just the historic photos and portraits on the wall or cleverly named menu items like the Birdsburger. The restaurant sits at the end of a strip mall, overlooking the town from a slope on the south side. 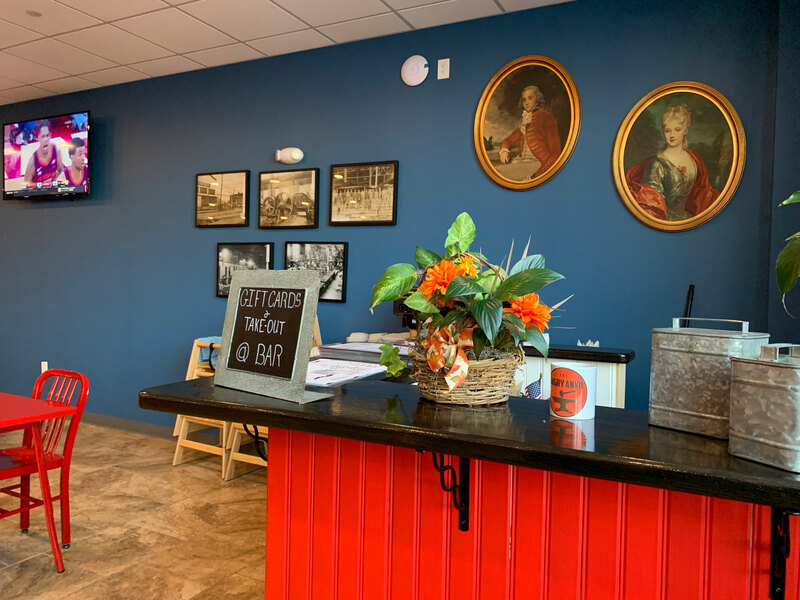 The spacious dining room – larger than it looks from the outside – features high- and low-top tables made of metal, an homage to the steel industry that once thrived in Birdsboro. Serving American pub fusion food with American craft beers – with a few imports – the menu isn’t small, but it is focused. 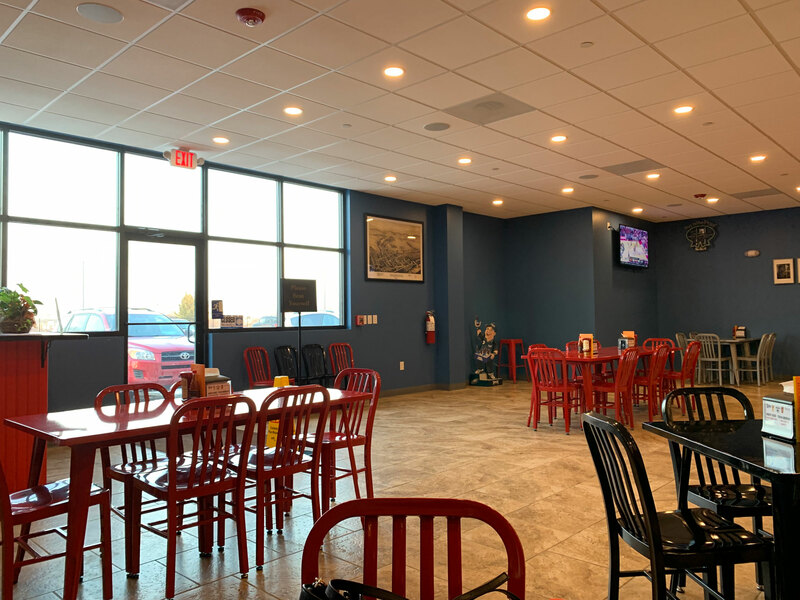 Dinner options include sandwiches and burgers, wraps, flatbreads and salads, with a range of appetizers that includes four kinds of specialty fries. It’s blue-collar food for a blue-collar town, just elevated. 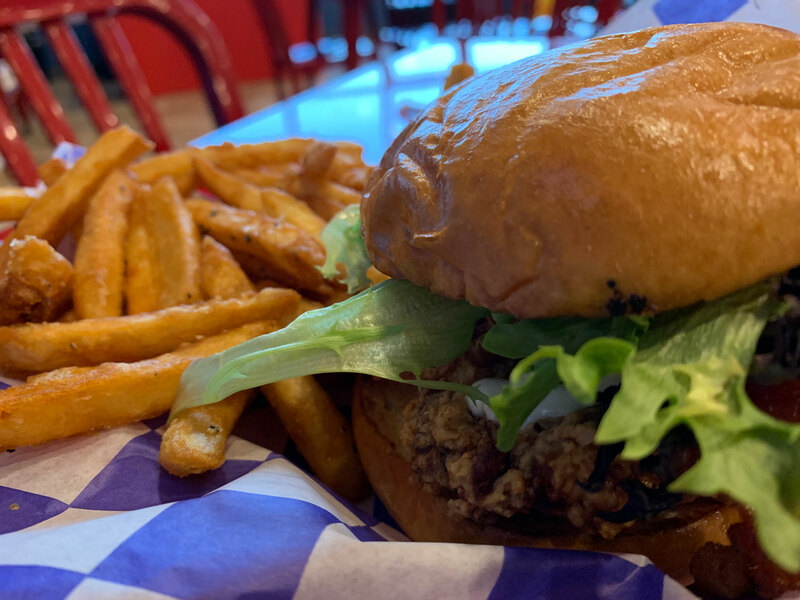 Looking over the menu, I was drawn to the ranch fried chicken sandwich: topped with bacon, spring mix, bruschetta and sweet corn ranch, and served with a side of beer-battered fries. There was a lot to love about this sandwich. The fried chicken was flavorful on its own. The bruschetta, which seemed to be featured on half of the menu items, was fresh and bright. But what really separated this was the sweet corn ranch. I’ve had ranch on corn before but never corn infused into the dressing. It’s a great flavor combination that led to a little sweeter dressing, one that paired perfectly with the rest of the sandwich ingredients. The sandwich was served with a half-pound of beer-battered fries. Battered fries always seem to go down easier, even after I am already full. There wasn’t a piece left by the time I had finished. 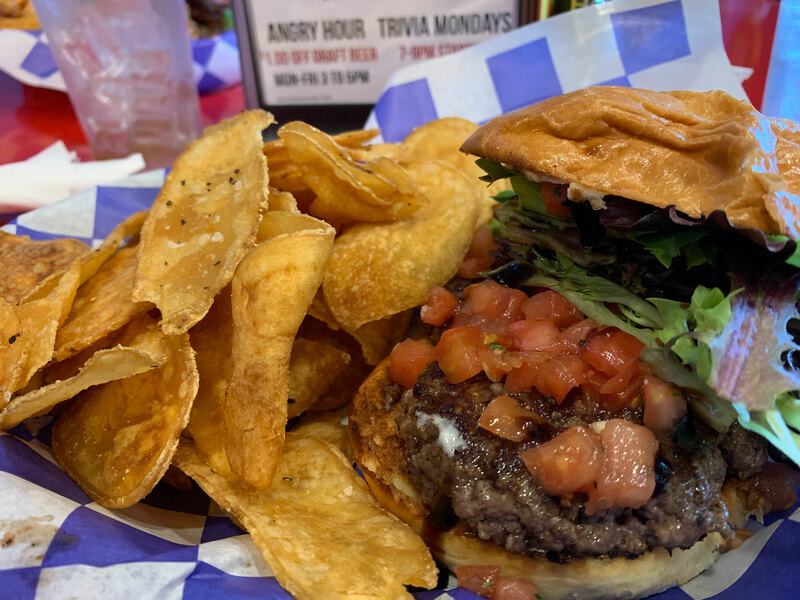 Julie opted for one of the Angry Anvil’s burgers – the balsamic bleu burger. It came topped with bruschetta, spring mix, balsamic reduction and bleu cheese spread. It was another hit. The balsamic was strong without being overpowering and played really nicely with the bleu cheese. If anything was lacking it would be a little crunch from the toppings. But there were zero complaints about the flavor. On the side, Julie swapped out her fries for an order of the Angry Anvil’s homemade chips. They were very good – crispy and lightly seasoned – in line with what we’ve found of similar offerings elsewhere. Along with a glass of wine and an iced tea, our total for the night was $33. When the highest-priced food item is $14, it’s easy to splurge on drinks without breaking the bank. As we were getting ready to leave, the Angry Anvil’s owner stopped by our table (I recognized him from a photo from when the place opened) as he made his rounds. He was surprised that Julie and I had made the trip from Wyomissing to Birdsboro (it’s 15 minutes) but was glad to hear we enjoyed our meal. We were glad, too. 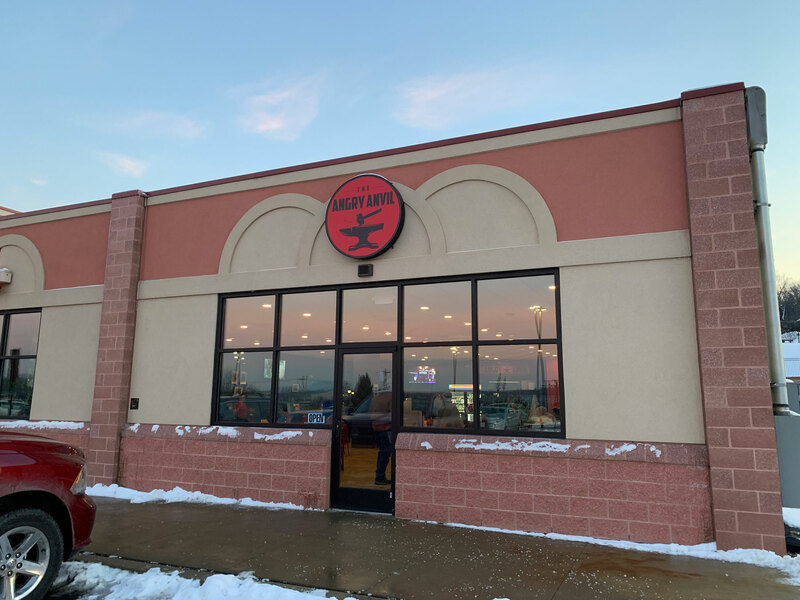 Glad to know that the Angry Anvil has added another quality option to Birdsboro and Berks County, and one that we will happily return to again.